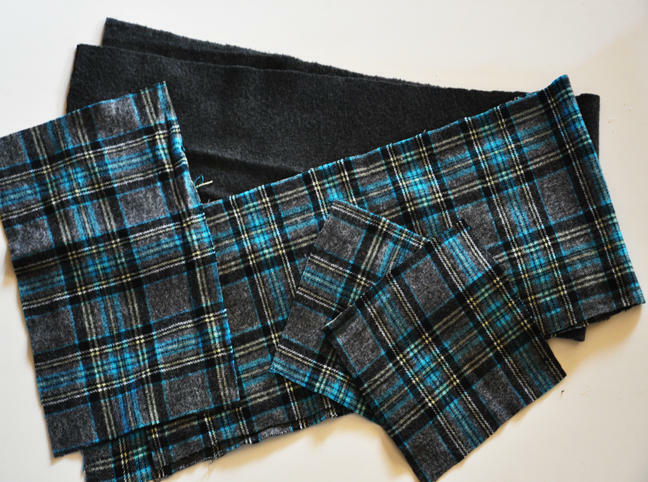 A flannel scarf is easy to make and will get loads of use during the cold weather. 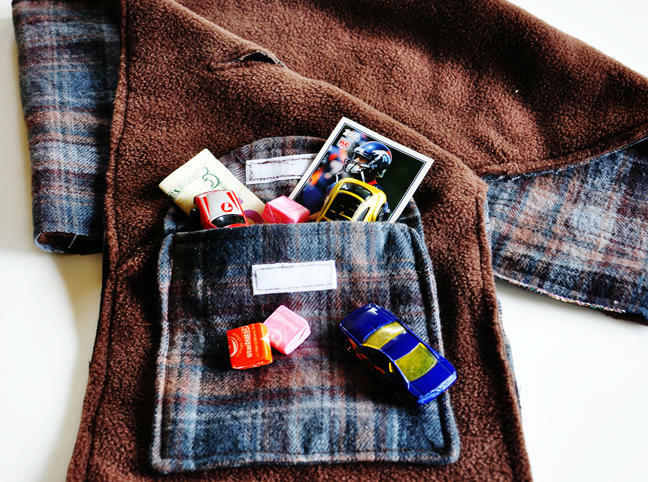 Add a secret pocket, and your little one might never take it off! 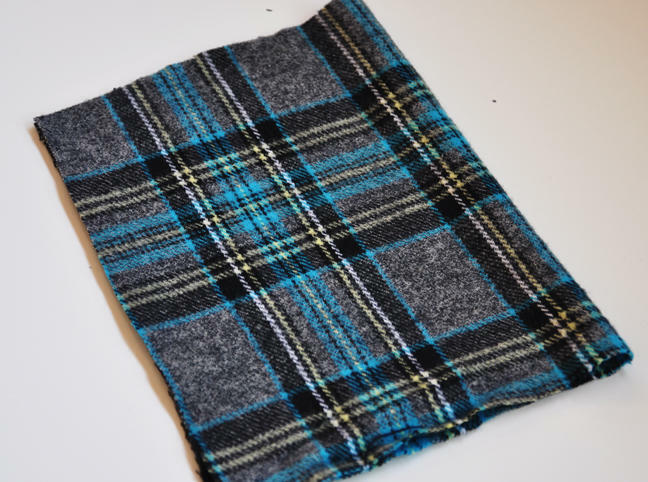 This is a great scarf for those rough-around-the-edges types of boys. Having two of my own, I am aware that they don’t need anything that can’t make it through a tug and a pull. 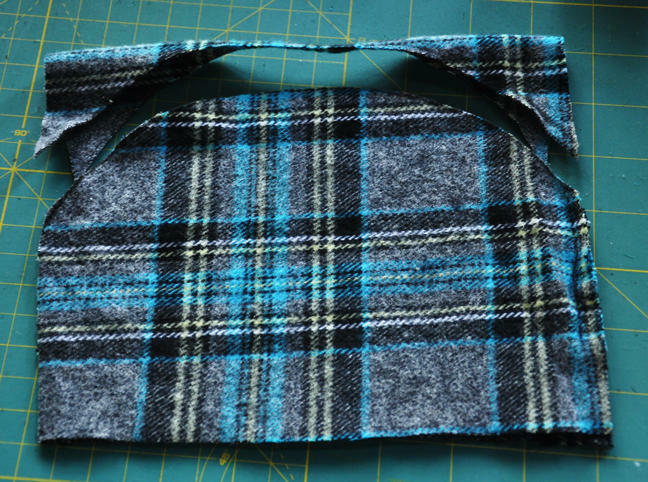 I’ve added a sturdy opening for the scarf to be pulled through to aid in keeping it around your little guy’s neck, and it has a built-in pocket to tuck away all the goodies they’ve collected that day. This scarf can be made in about an hour but your boys will wear it all season, especially when they know it came from you. 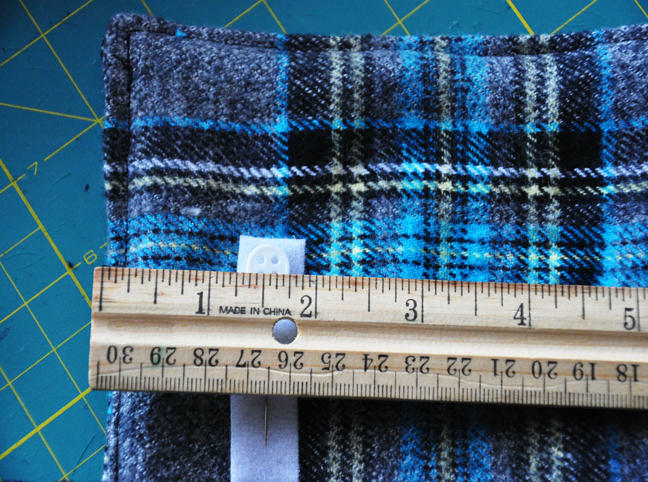 Take your 7” x 12” piece of flannel and fold it in half so now it is 7” x 6”. Take a round edge, I used a plate, and use it to create a curved edge for the pocket top. You can use a sharpie to draw the curve. 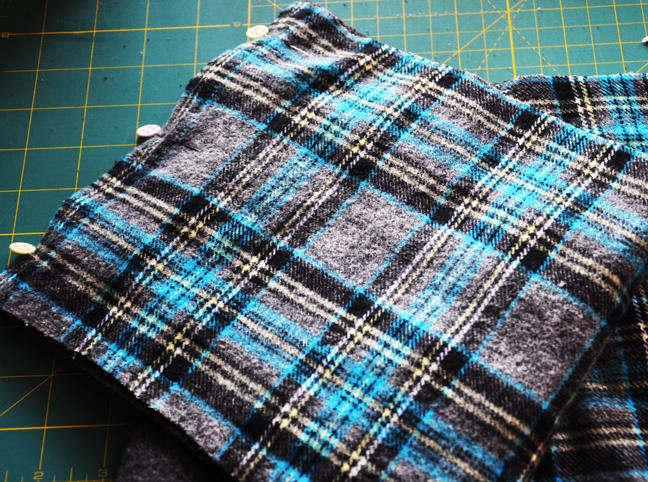 With right sides of the fabric together, sew the two pieces together with a 1/2” seam. Make sure to leave a 3” opening unsewn so we can turn the pocket right side out later. Clip corners and curves. 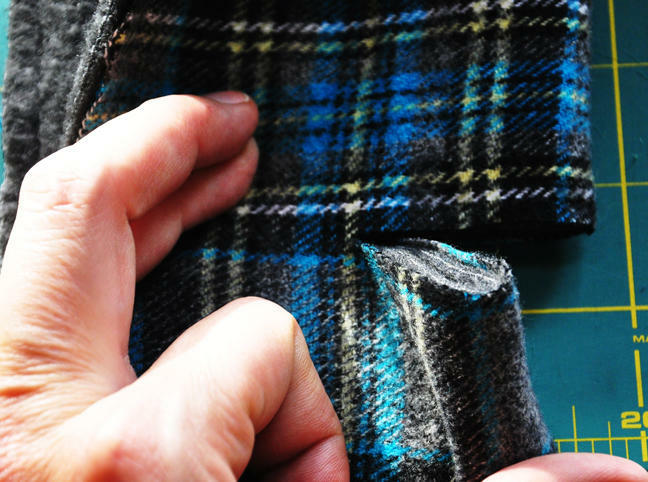 Turn pocket right side out and edge stitch around the entire pocket top. This will close up the opening you left earlier. Repeat steps 5-6 with the pocket body (the 2 7” squares). 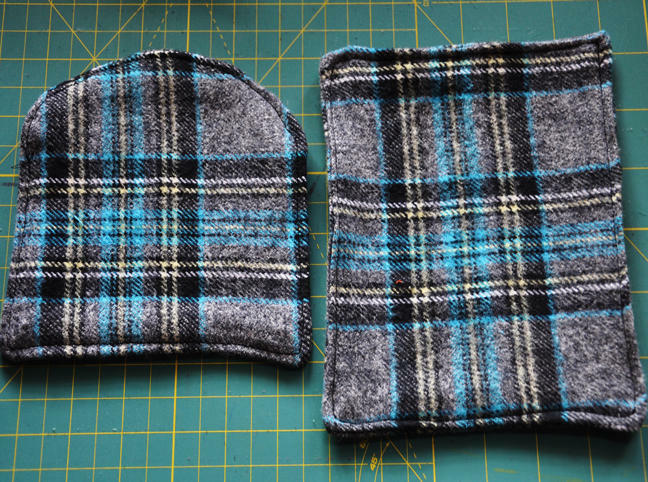 Take one piece of the 2” Velcro and place it on the INSIDE of the pocket top. Sew it in centered about 1 1/2“ down from the top. 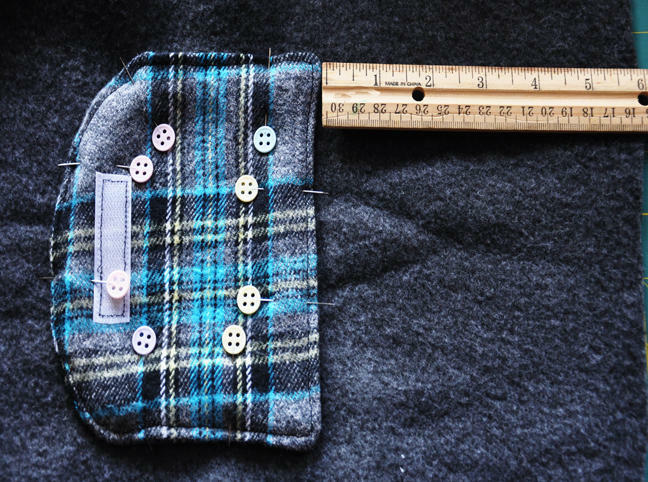 Take the other piece of the 2” Velcro and place it on the OUTSIDE of the pocket body. Sew it in centered about 1 1/2“ down from the top. 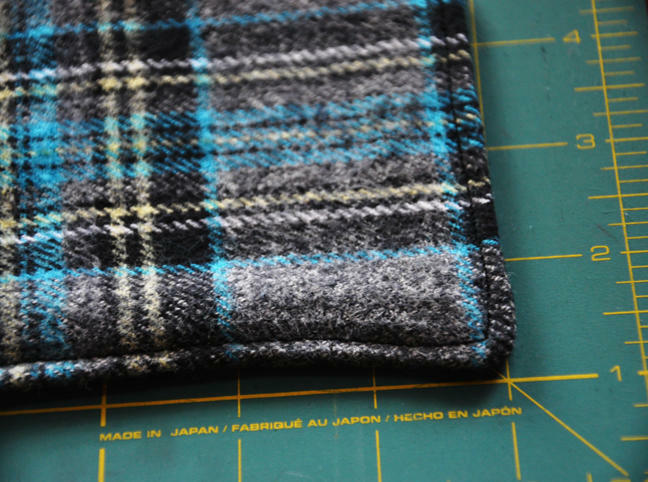 Take the pocket top and lay it on the RIGHT SIDE of your fleece scarf piece about 6” up from the bottom of the scarf. 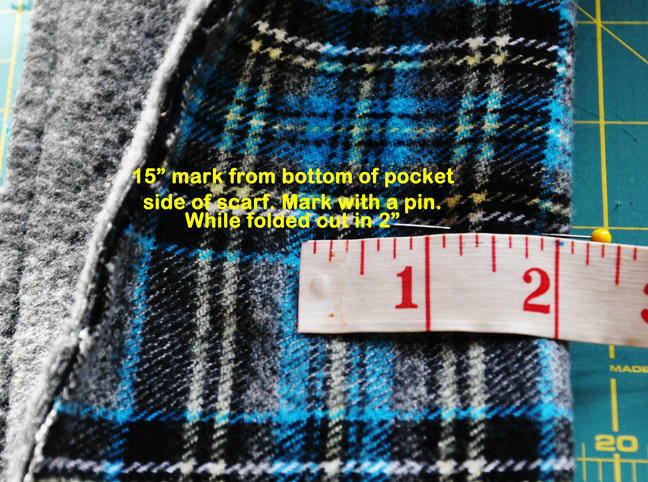 The bottom of the pocket top should be at the 6” mark as shown. Pin in place. 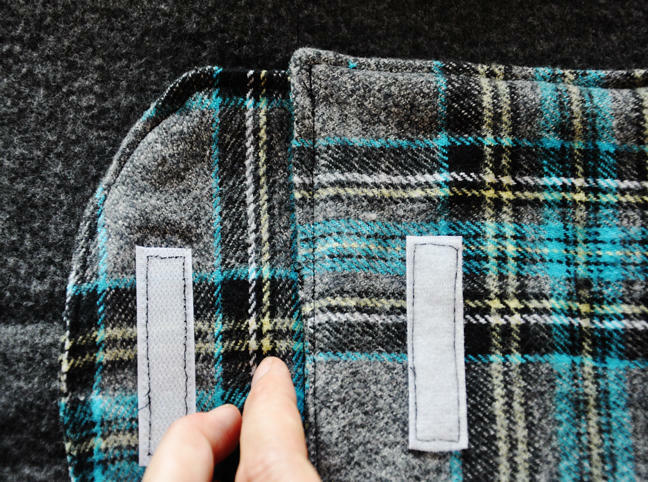 Make a mark with a pin 2” up from the bottom of the pocket top. This is the only place you are going to stitch. Stitch the pocket top in place at this one point only. Take your pocket body and pin it down making sure the top of the pocket body is just touching the line you just stitched for the pocket top. 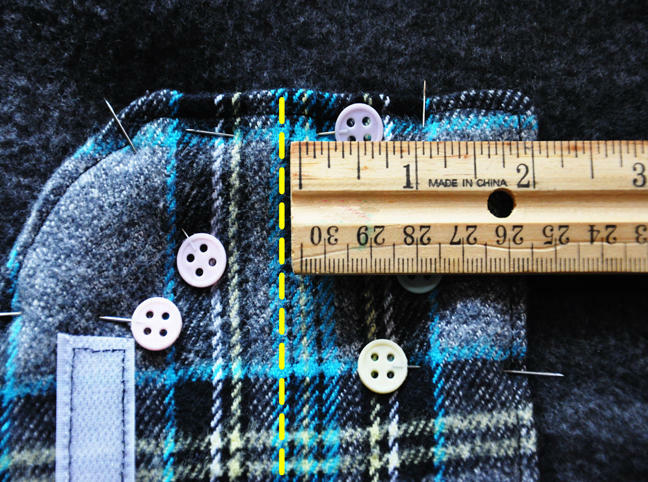 Pin in place and using your previous edge stitch as a guide, stitch the pocket down on the three sides only. 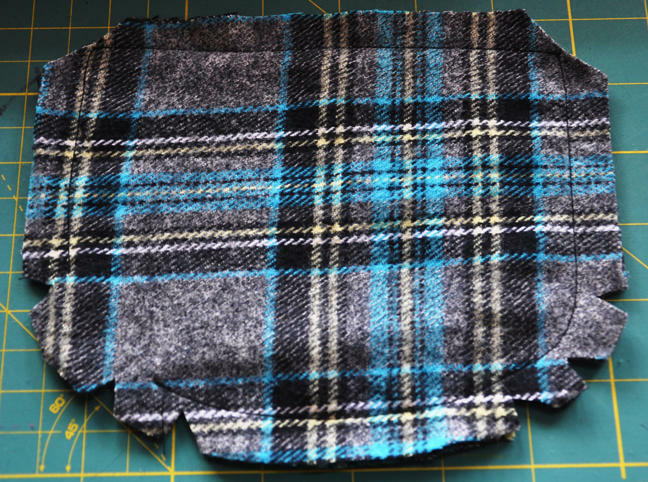 Now take the two scarf pieces and lay them WRONG SIDES TOGETHER and pin. 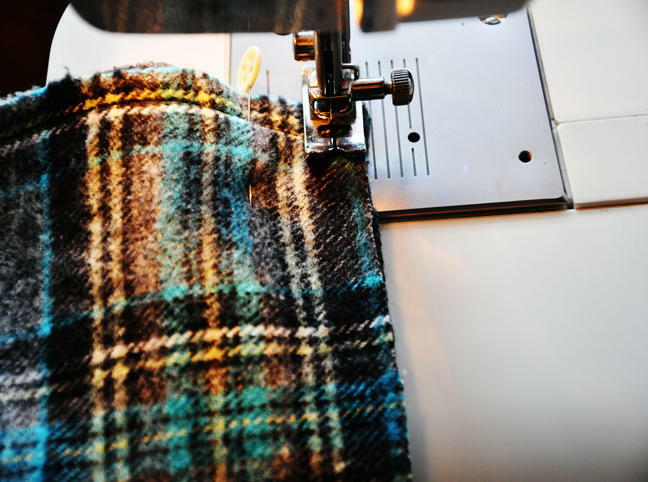 Sew with a 1/4“ seam around the entire scarf. 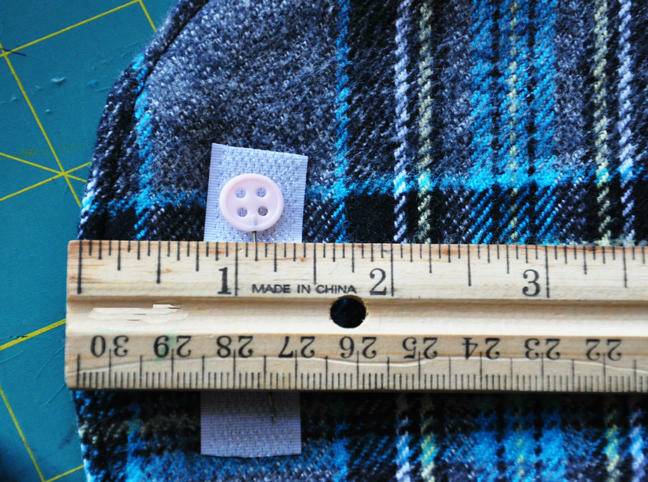 Measure from the pocket side of the scarf, up 15”. Mark the measurement with a pin. Now, to make the slit, cut in 2” at that 15” mark. 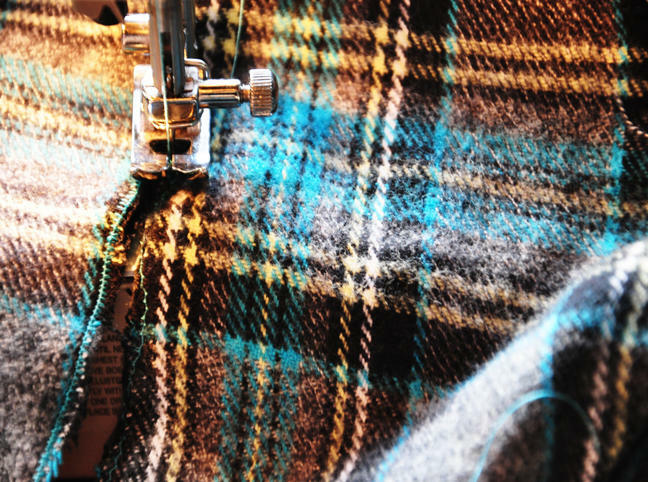 Using a small zig zag stitch, stitch around the entire opening, making sure you are stitching through both sides of fabric. Wrap it around your boy’s neck and pull it through! 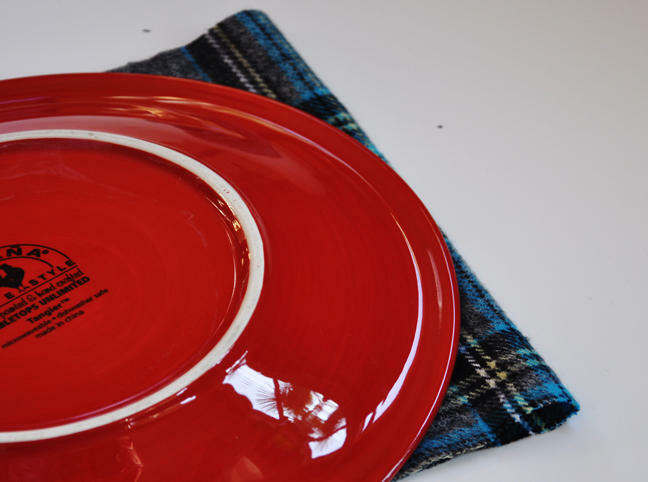 You’re done – now make some for the boys in your life!